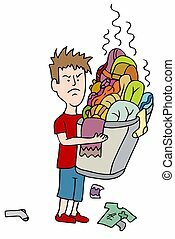 Dirty laundry. 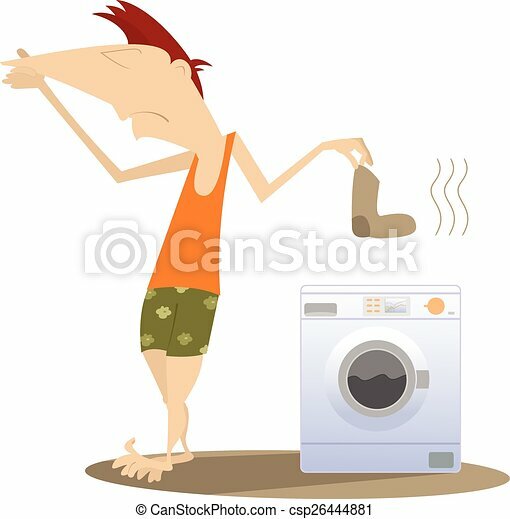 Man holds his nose and going to wash dirty laundry. 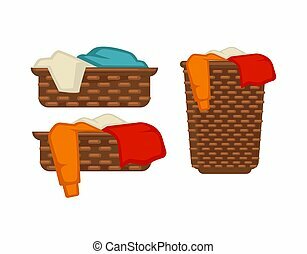 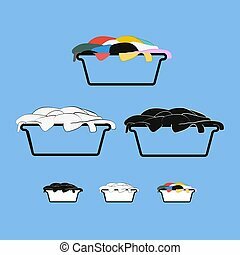 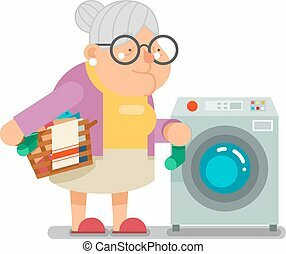 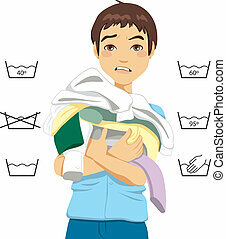 Woman Housewife Loading Dirty Laundry Into Washing Machine, Classic Household Duty Of Staying-at-home Wife Illustration. 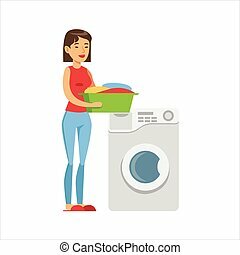 Smiling Female Character And Her Domestic Affairs Vector Drawing.